Did you know that eating bananas is good for your body? I am sure you probably do since almost every fruit has something good to do for your body. But let me tell you why it is good for the body so that you can understand it more. Bananas contain a lot of glucose, fructose and sucrose which are all sugars. It also contains fibers. This makes the banana a great source of quick energy. Read on to know more about the health benefits of bananas. Because it is a good source of energy, it has the capability to reduce depression. Furthermore, it has tryptophan, an amino acid which is then turned into serotonin. This in turn improves a person’s mood. Bananas also keeps a person from being anemic since it is a good source of iron. In addition, since they also contain high fiber, they help keep our bowels balance. If you are suffering from diarrhea, your supply of electrolytes which also consists of potassium decreases. 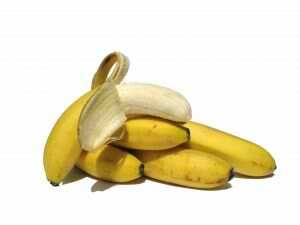 By eating bananas, it helps off-set the electrolytes lost since it contains a lot of potassium. It also helps keep your eyesight healthy. These are but a couple of health facts about bananas and so the next time you eat bananas, at least you know why it is good for your body.